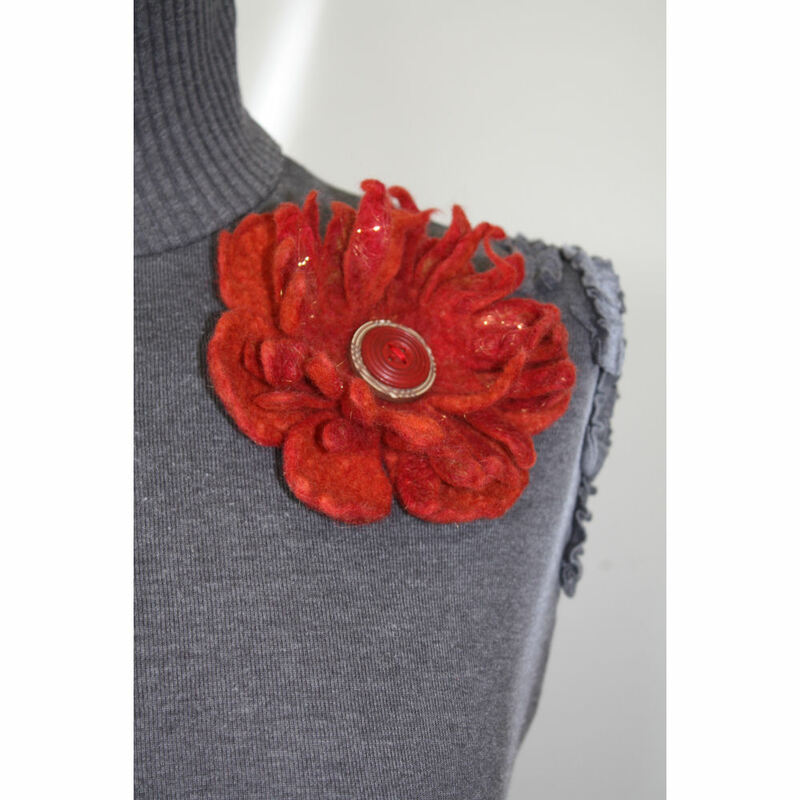 “Pumpkin Pie ” is a hand felted flower corsage which has been inspired by the changing colours of autumn, crisp leaves and the warm flesh of ripe pumkins. The back layer features 6 large rounded petals, and the inner layer is delishiously ragged. Warm orange, russet red,and mulberry merino wool fibres have been combined with sparkly angelina fibres to beautiful effect..The centre has two upcycled textured buttons hand sewn on. A metal brooch clasp is sewn onto the back making it easily and securely attachable to any cardigan, scarf, coat lepel, or hat- as shown in the photos.